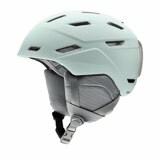 The Marker Ampire Helmet combines lighter weight hybrid shell protection with premium features to protect your head while offering optimal comfort. 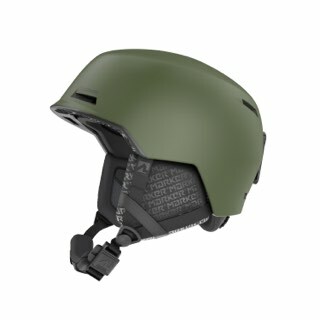 The helmet features a hard shell upper and lightweight lower combined with an EPS foam core to offer durable impact protection. 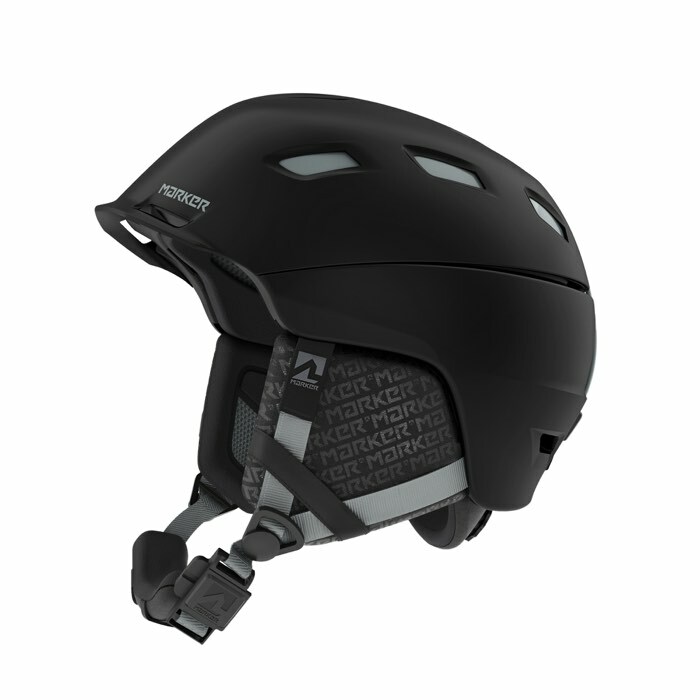 Along with the weight savings this helmet offers, its climate-control slider makes it easy to customize your desired level of ventilation, even with a glove on or while moving. The MarkAir ventilation system allows a comfortable level of airflow that prevents your head from getting too cold even with the vents fully open, or too warm when they're fully sealed. It also helps keep your goggles fog-free. 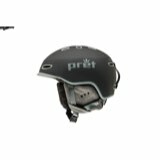 Quickly adjust the helmet fit with a dial in back, and secure the strap closed with an easy-to-operate sliding magnetic snap. Both are easy to operate with one hand and without having to remove a glove. 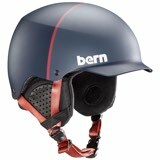 A low-profile strap system at the back of the helmet keeps your goggles secured in place, even if you push them off your eyes and back on the helmet. Ear pads offer added warmth and are audio-compatible to accommodate your MP3 player or cell phone, and can be removed if weather conditions don't call for them. 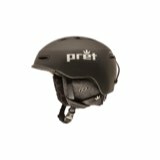 The antibacterial performance lining inside the helmet provides thermally-efficient, moisture-wicking comfort, but can be removed if you prefer the feel of your own beanie.